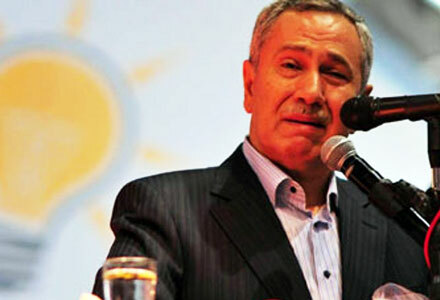 Deputy Prime Minister Bülent Arınç answered journalists’ questions at the AK Party (AKP) Mardin Headquarters. Unfortunately, I am ashamed to say this in a place where our lady sisters are present but some people turn this into honor, meaning people in different sexual orientations. These things are not liked in our belief, our traditions, our customs and mores, and our society’s structure. But it is extremely saddening that they get completely naked in broad daylight, challenging and having fun in the middle of Istanbul, and unfortunately, parliamentarians from the CHP and HDP supporting them. I know that there are women and men parliamentarians, 5-10 parliamentarians from the CHP, who joined that march and who supported it. I submit this to our nation’s discretion. If our nation likes this and applauds it, it can continue to follow them. If our nation sees these as wrong, criticizes it, and beyond criticizing, says what comes to their mind, do the necessary thing at the ballot box. LGBTI News Turkey Note: Please also see Deputy Prime Minister Bülent Arınç’s statements on LGBT at the United Nations on 27 January 2015. ← Turkey’s LGBTI File Criminal Complaints for Attacks Against Istanbul Pride- Hear Them Out!